Calling all you grease monkeys out there, now your head doesn’t have to have the same consistency of what’s running your car! Hawleywoods Layrite Original Pomade has really changed my hubbies outlook on pomade, in other words, this stuff WASHES OUT and it holds! I know most of you love the build up, since it keeps the pompadour where it needs to be, but think of all the pillowcases, couches, car seats, and hats you’ve ruined! Layrite Pomade is water based so you can work with the wax-like consistency to get the perfect pomp everyday, every time AND it’s pleasant vanilla smell will have the ladies sniffin’ your quiff! This product is strong enough to use on mohawks, flat tops, or get the perfect slicked back look without looking (and feeling) like an oil slick, yuck! My hubby started using Layrite as a recommendation and has never looked back! 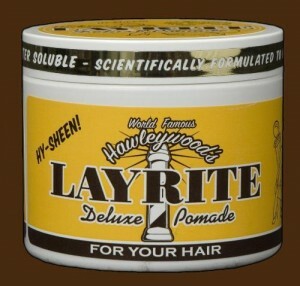 Hawleywoods Layrite Original Pomade is available online at www.hawleywoods.com. 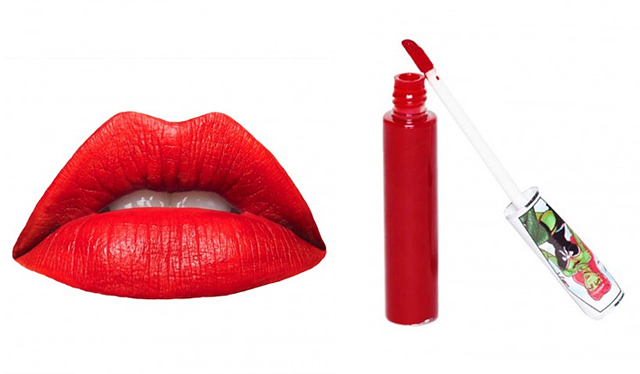 Many of the Hawleywood’s Layrite products are available at Cats Like Us too. You can even get them in 32 oz. tubs!